The Hayton is an absolute winner. 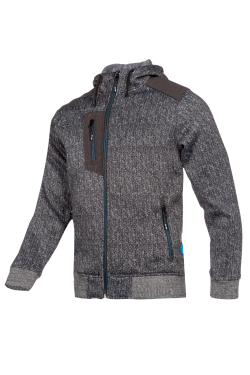 This fashionable sweater jacket with fixed hood fits your body tightly, has reinforced shoulder and elbows, and cyan coloured stitches. 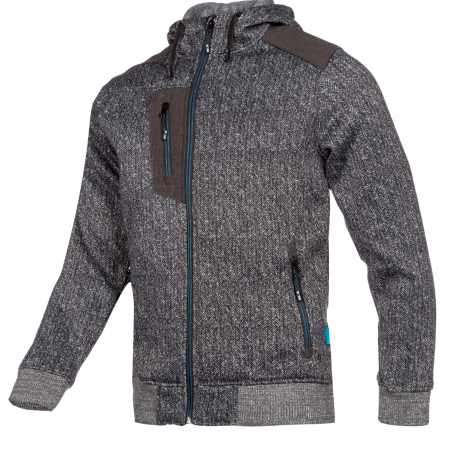 This warm sweater jacket with zipper is beautiful and practical with one vertical chest pocket, and two pockets on the outside and two on the inside. The elastic hem and knitted wind cuffs at the sleeve ends finish this sweater jacket.